[Tuesday, February 1, 2011] EIAST and Bigelow Aerospace LLC, an organisation dedicated to providing affordable options for spaceflight to national space agencies and corporate clients, have signed a Memorandum of Understanding (MoU). [Tuesday, February 1, 2011] Today SpaceX announced it is opening a new office in Chantilly, VA to serve customers looking for reliable, affordable launch solutions. The community is home to some of the world's leading Internet and high-tech companies. [Tuesday, February 1, 2011] Our audit objective was to examine the consolidation and transfer of selected services from NASA to the NSSC. 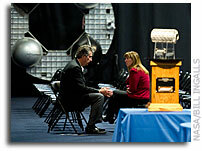 [Wednesday, February 2, 2011] NASA Deputy Administrator Lori Garver will travel to Las Vegas and Boulder, Colo., this week to meet with leaders of two commercial space companies, Bigelow Aerospace and Sierra Nevada Corp., and tour their facilities. [Thursday, February 3, 2011] Two studies demonstrate how the unique capabilities of the world's first hard X-ray free-electron laser--the Linac Coherent Light Source, located at the Department of Energy's SLAC National Accelerator Laboratory--could revolutionize the study of life. [Thursday, February 3, 2011] It would seem that structural information for biological molecules can now be obtained from vanishingly small biological samples - so called "nanocrystals" using a hard X-ray laser - on Earth - no space station required. [Thursday, February 3, 2011] Robonaut 2, the muscular humanoid robot created by General Motors and NASA, will make a guest appearance with Fox Sports analyst Howie Long during the Fox Network pre-game show before Super Bowl XLV on Sunday. [Thursday, February 3, 2011] Yesterday, Space Florida and Bigelow Aerospace, signed a MOU agreeing to work together to pursue and identify foreign and domestic companies that could benefit from utilization of Bigelow's expandable, orbital space complexes. [Thursday, February 3, 2011] US market research firm, the Futron Corporation of Bethesda, Maryland, today published a benchmarking assessment study on the Isle of Man space industry with surprising results. [Saturday, February 5, 2011] The second Automated Transfer Vehicle (ATV) to be orbited by Arianespace has been installed on its Ariane 5 launch vehicle, keeping preparations on track for a February 15 mission to service the International Space Station. [Saturday, February 5, 2011] NASA Deputy Administrator Lori Garver visited Las Vegas today to meet with Nevada entrepreneurs and discuss innovations in space exploration and technology development critical to America's future in space. [Saturday, February 5, 2011] NASA Deputy Administrator Lori Garver visited Boulder, Colo. today to meet with entrepreneurs and discuss innovations in space exploration and technology development critical to America's future in space. [Sunday, February 6, 2011] Astrobotic Technology Inc. today announced it has signed a contract with SpaceX to launch Astrobotic's robotic payload to the Moon on a Falcon 9. [Monday, February 7, 2011] A Minotaur I rocket was launched from Space Launch Complex-8 here at 4:26 a.m. (PST) Feb. 6. The rocket carried a national security payload for the National Reconnaissance Office. [Tuesday, February 8, 2011] The Aerospace Corporation was chartered by Acting PEO for Environmental Satellites immediately following White House NPOESS Divergence decision announced 1 Feb 2010. [Tuesday, February 8, 2011] The Director of Center Operations has identified several performance goals for the Acquisition organization. In broad terms they are to become customer-centric, streamlined, and move to a "Project Management" style of management. [Tuesday, February 8, 2011] I am writing to express my strong support for the US. 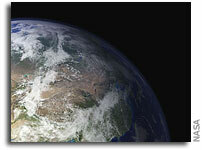 space program and encourage you to ensure its economic vitality in the coming years. [Tuesday, February 8, 2011] This new launch vehicle combines two of the world's most reliable propulsion systems, with a collective heritage of nearly 150 successful flights. [Tuesday, February 8, 2011] This ROSES NRA covers all aspects of basic and applied supporting research and technology in space and Earth sciences. [Tuesday, February 8, 2011] Our space program attracts and inspires the world's greatest minds and gives our young people inspiration to excel in math and science. Human spaceflight, however, is not simply a matter of national prestige. [Tuesday, February 8, 2011] NASA has selected 20 small satellites to fly as auxiliary cargo aboard rockets planned to launch in 2011 and 2012. The proposed CubeSats come from a high school, universities across the country, NASA field centers and DoD organizations. [Wednesday, February 9, 2011] An amendment supported by U.S. Sen. Sherrod Brown ( D-OH ) preserving civil aeronautics research and development at NASA passed the Senate this morning as part of the Federal Aviation Administration ( FAA ) reauthorization bill. [Wednesday, February 9, 2011] Officials with The Conrad Foundation today announced 27 high school teams will compete in the finals for the 2011 Spirit of Innovation Awards. [Thursday, February 10, 2011] NASA Administrator Charles Bolden will brief reporters about the agency's fiscal year 2012 budget at 2 p.m. EST on Monday, February 14. [Friday, February 11, 2011] At the present time, NASA finds itself in a state of significant uncertainty, particularly with respect to its human space program. [Friday, February 11, 2011] NASA presented its premier honor for quality and performance, the George M. Low Award, to four companies that share a commitment to teamwork, technical and managerial excellence, safety and customer service. [Friday, February 11, 2011] The Lockheed Martin Orion team shipped out the first Orion crew module spacecraft structure today from NASA's Michoud Assembly Facility in New Orleans, La. [Saturday, February 12, 2011] The NASA NPOESS Preparatory Project (NPP) climate/weather satellite is undergoing flight environmental testing at Ball Aerospace & Technologies Corp's production and test facility in Boulder, Colo.
[Saturday, February 12, 2011] The Committee will continue to provide oversight of NASA's human spaceflight program as it undergoes a period of uncertainty and transition following various Administration proposals. [Saturday, February 12, 2011] A BILL to amend the Code of Virginia by adding in Article 10 of Chapter 3 of Title 58.1 a section numbered 58.1-423, relating to tax revenues generated by commercial spaceflight; Virginia Commercial Space Flight Authority. [Monday, February 14, 2011] Provides $18.7 billion, the same amount the agency received in 2010. Funding focuses on areas that will improve the Nation's space capabilities, strengthen our competitive edge, and prepare the next generation of leaders in the field. [Monday, February 14, 2011] NASA announced Monday an $18.7 billion budget request for fiscal year 2012 that supports a reinvigorated path of innovation, technological development and scientific discovery. [Monday, February 14, 2011] The Commercial Spaceflight Federation today welcomed the strong support for commercial spaceflight in the new NASA FY2012 proposed budget. [Monday, February 14, 2011] Today, we are releasing NASA's fiscal year 2012 budget request. As NASA employees, you will be instrumental in implementing this budget and carrying out our important mission. [Tuesday, February 15, 2011] The CAN was released today - one month late. The release date slipped one month but the award date has slipped 2 months. [Tuesday, February 15, 2011] The Cosmo-SkyMed satellites, operated by the Italian space agency, have acquired the first images of the Italian oil tanker Savina Caylyn since it was hijacked earlier this week by Somali pirates in the Indian Ocean. [Tuesday, February 15, 2011] ESA's latest Automated Transfer Vehicle is being readied for launch to the International Space Station on Feb. 15 at 22:13:27 GMT from the Spaceport. [Tuesday, February 15, 2011] On February 15, 2011, NASA's Science Mission Directorate (SMD) is releasing a draft solicitation for community review and comment: the draft Earth Venture-2 (EV-2) Announcement of Opportunity (AO). [Wednesday, February 16, 2011] CSF today welcomed the strong support for space technology investments in the new NASA FY2012 proposed budget, including Commercial Reusable Suborbital Research, Centennial Challenges, and NASA's commercial parabolic flight program. [Wednesday, February 16, 2011] Just as Australian explorer and pioneer Douglas Mawson was at the forefront of Antarctic exploration, his legacy is being kept alive by the Mawson's Huts Foundation. [Wednesday, February 16, 2011] Explorer 9 was the first spacecraft placed in orbit by an all-solid rocket and the first spacecraft successfully launched from Wallops Island. It was launched on 16 February 1961. [Wednesday, February 16, 2011] Following a measurement anomaly in the liquid oxygen propellant tank of the cryogenic main stage for Flight 200's Ariane 5 launcher, yesterday's countdown was stopped. The new launch time has been set for this evening at 22:50:55 CET. [Wednesday, February 16, 2011] The seventh Global Positioning System Block IIR (GPS IIR-7/SVN-54) satellite, designed and built by Lockheed Martin, has reached 10 years of successful on-orbit operations. 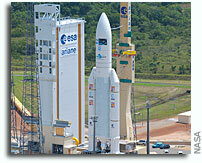 [Wednesday, February 16, 2011] The Intelsat New Dawn satellite is scheduled to be launched on 29 March 2011 from Arianespace's launch site in Kourou, French Guiana. Intelsat New Dawn is the first ever African private sector communications satellite. [Wednesday, February 16, 2011] NASA is implementing a corrective action plan to improve the effectiveness of its project management. Successful implementation of the plan will gain even more importance in an increasingly constrained fiscal environment. [Wednesday, February 16, 2011] NASA released a final version of a cooperative agreement notice (CAN) for an independent, nonprofit research management organization to stimulate, develop and manage U.S. use of the International Space Station National Laboratory. [Thursday, February 17, 2011] ESA's second Automated Transfer Vehicle, Johannes Kepler, has been launched into its targeted low orbit by an Ariane 5. [Thursday, February 17, 2011] This week, comments from guest blogger, medical doctor, engineer, and astronaut, Dr. David Wolf, as he reflects on tissue engineering in space. [Thursday, February 17, 2011] 2011's Next-Generation Suborbital Conference (NSRC-2011), will be held in Orlando, Florida 28 February through 2 March. That's less than two weeks away! [Friday, February 18, 2011] "We also found that NASA's published strategy for acquiring medium-class launch vehicles after 2010 may not be the most cost-effective or advantageous to the Government because it did not include as a possible option use of Minotaur." 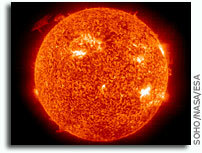 [Saturday, February 19, 2011] A powerful solar flare has ushered in the largest space weather storm in atleast four years and has already disrupted some ground communications on Earth. [Sunday, February 20, 2011] Raytheon Company is celebrating the 60th anniversary of National Engineers Week Feb. 20-26 -- a week that highlights the achievements of our nation's outstanding engineers and the 10th anniversary of the program "Introduce a Girl to Engineering Day." 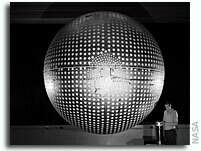 [Tuesday, February 22, 2011] NASA hereby gives notice of its intent to grant a partially exclusive license in the United States to entitled ``Apparatus For Integrating A Rigid Structure Into A Flexible Wall Of An Inflatable Structure'' to Bigelow Aerospace. [Tuesday, February 22, 2011] The CEO and president of Richard Branson's space company, Virgin Galactic, will discuss the promise of space tourism at the University of Central Florida on Monday, Feb. 28 -- shortly after shuttle Discovery is scheduled to fly. [Tuesday, February 22, 2011] Two cloud cameras built by Ball Aerospace & Technologies Corp. will fly aboard NASA's Glory climate-monitoring mission scheduled to launch Wednesday, Feb. 23, from Vandenberg Air Force Base in California. [Tuesday, February 22, 2011] If all goes according to plan a balloon with a student-oriented payload will photograph Space Shuttle Discovery as it climbs into space from an altitude of 100,000 feet. [Tuesday, February 22, 2011] EMC Corporation today announced that the Arizona State University SESE has deployed EMC Isilon(R) scale-out NAS to power the processing and analysis of tens of thousands of lunar images from NASA's Lunar Reconnaissance Orbiter (LRO). [Wednesday, February 23, 2011] Boeing announced today that it has established Boeing Commercial Satellite Services to market commercial satellite telecommunications services to the U.S. government and other satellite users. [Wednesday, February 23, 2011] A 14 Million Cubic Foot (MCF) Super Pressure Balloon recently completed its 23-day science mission over Antarctica. 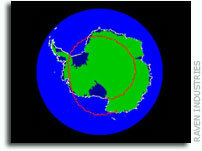 The balloon was launched January 9 from the Ross Ice Shelf. [Wednesday, February 23, 2011] NASA Glenn Research Center has issued three Mars Ascent Vehicle Program Phase I Awards to Lockheed Martin, ATK, and Northrop Grumman. [Wednesday, February 23, 2011] NASA/KSC plans to issue a Request for Proposal (RFP) for the Expendable Launch Vehicle Integrated Support 2 (ELVIS 2). Previous releases regarding ELVIS 2 were issued under sources sought NNK10ELVIS2R and Draft RFP NNK11362916R. [Wednesday, February 23, 2011] Space Exploration Technologies Corp. (known as SpaceX) has been named one of the 50 most innovative companies in the world by MIT's Technology Review. [Thursday, February 24, 2011] For the ATV mission, Aerojet delivered four model R-4D-11 110 lbf bipropellant rocket engines that are used to accomplish the circularization maneuvers and approach to docking with the International Space Station (ISS). [Thursday, February 24, 2011] Fans of NASA will have an opportunity to watch the final liftoff of Shuttle Discovery in a unique "social viewing" environment available through Sony Computer Entertainment America's PlayStation Home for PlayStation3 computer entertainment system. [Thursday, February 24, 2011] XCOR Aerospace announced today that the Southwest Research Institute (SwRI), a commercial entity, has purchased six suborbital flights to carry SwRI experiments as pathfinder missions for other SwRI suborbital clients. [Saturday, February 26, 2011] NASA astronauts onboard Space Shuttle Discovery's final mission to the International Space Station (ISS) will carry out the eleventh scientific payload for Astrogenetix, a commercial biotech company based out of Austin, Texas. [Monday, February 28, 2011] These pioneering payload integrators represent both large, established companies and start-up space entities run by seasoned executives and fresh new entrepreneurs from places like Asia, Europe, North America, and South Africa. [Monday, February 28, 2011] We stand at the forefront of what may be a renaissance in suborbital spaceflight. As such, it is paramount that we ask ourselves the most basic and fundamental inquiry regarding this development. [Monday, February 28, 2011] Sir Richard Branson's Virgin Galactic, LLC, the world's first commercial spaceline, announced today the first ever commercial contracts to fly scientists into space for the purpose of conducting research experiments. [Monday, February 28, 2011] Southwest Research Institute announced pioneering agreements today to send three scientists as payload specialists aboard eight suborbital flights -some to altitudes greater than 350,000 feet, above the internationally recognized boundary of space. [Monday, February 28, 2011] Three scientists, including a former NASA executive, will become some of the first scientists to fly on a commercial spacecraft -- and they will fly multiple times.